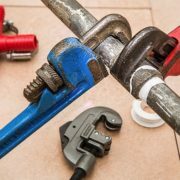 Plumbing emergencies are some of the most stressful experiences that homeowners face, mostly because few things cause as much damage to a home as water. While there are plenty of plumbing issues that do not technically qualify as emergencies, sometimes it is worth calling during off hours and arranging for a professional to address an issue immediately. The most common reason to call an emergency drain cleaning service is a water backup that is causing water to spill forth from the source and isn’t stopping or slowing down. This often starts as slow drainage caused by a clog, but when the clog gets so bad that water can’t get through the pipes at all, big problems can arise. Whether the clog is caused by the buildup of minerals or waste doesn’t matter. If the clog forms completely, it gets even harder to remove and can lead to big problems in terms of water damage. Another common problem associated with especially bad clogs is an unusually bad smell, which can be a result of sewer gas caused by water in drains evaporating when not used often. Rising sewer gas vapor can rise up through the drain and create a nasty smell. If hot water alone doesn’t flush out the odor, you may need to call someone here at Garvin’s Sewer Service to address the issue. 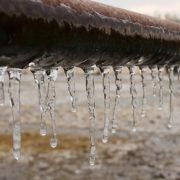 In the winter, when temperatures drop below freezing, frozen pipes can cause serious problems in terms of drainage and potential leaks. Visible frost on exposed pipes, odd clanking noises when the tap is turned on, and the complete stoppage of water anywhere in the home all could be signs of frozen pipes, and together they could shut down your water supply. There are times when water should be visible, but if there’s water showing in places where it shouldn’t be, it could be the sort of problem that causes water damage in your home. Take, for example, water pooling around the base of a toilet, water dripping from the ceiling, or water seeping up from the floor. Each of these should mean an emergency call to your plumber immediately. If the water in your home is anything but clear, you could have a problem with drainage that needs correcting. Yellow or brown water, for example, could mean that you have to much iron in your water, signaling an issue with the water heater. Blue or green tinted water might mean your copper pipes are corroded. In both cases, using the colored or cloudy water could be unsafe, so calling emergency plumbing services may be the right decision. If any of these signs rear their ugly heads, do no hesitate to reach out to someone here at Garvin’s Sewer Service. We’ll be happy to schedule an emergency drain cleaning service to get your water running (or rather, not running) exactly as it’s supposed to. You are not alone and it is times like this you don’t want to be searching for a plumber, afraid of the cost or quality of the person willing to show up in the middle of the night. In order to help you, we wanted to give you some facts about emergency plumbing services to help you make a better decision. They charge more for the convenience of assisting outside normal business hours. And while it is a service professionals job to help, there are real reasons for the increased price for an emergency plumber to come to your home. They charge more because they may have to call the supply house and have them open outside normal business hours and that incurs a fee, which the plumber passes to you. They come and provide a temporary fix, charging extra (see point 1 above), then come back the next day when the plumbing house is open and they can get needed parts. They come provide a true fix (as opposed to a temporary one) because they happen to have the needed parts on their truck. (With over 10,000 plumbing parts, this is unlikely). To avoid this, know where your emergency water shut off valve is and mediate any damage the best you can and call the plumber in the morning. Sewer line back-ups are unsanitary and can require expensive restoration services if not handled quickly. Our Englewood based Emergency Plumbers specialize in sewer line back-ups and we pride ourselves on arriving to your property within 4 hours, regardless of time of day, day of the week or even holiday. Do you charge an emergency fee and when does that apply? What types of services do you perform during regular hours and during afterhours? Do you have a service call charge? Additionally, check out the company’s online reputation through resources such as the Better Business Bureau. 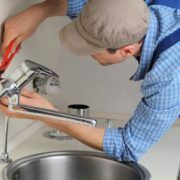 New to the area and looking for a reliable and reputable emergency plumber? 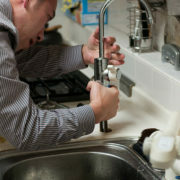 Wanting a plumbing provider who doesn’t charge extra for nights, weekends or holidays? Garvin’s Sewer Service has been proving reliable, honest plumbing and sewer services for the Greater Denver and Boulder areas from their Englewood office since 1940. Give them a call with questions, for a quote or to learn more about preventative maintenance and repair services at 303-571-5114.